SIEM Software Provider LogPoint was just included into the 2018 Gartner Magic Quadrant for SIEM. LogPoint is a global company headquartered in Denmark with offices located in the US, Europe, and Nepal. LogPoint Nepal Pvt. 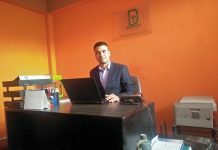 Ltd. established in Jawalakhel, Kathmandu, plays a crucial role in bringing the LogPoint product and services to the global stage, attracting worldwide attention and surpassing global vendors. The Gartner Group’s primary objectives are to provide world-class research into IT as a business-enabler and providing consultancy services to the world biggest for the beneficial use of IT. The research conducted is state-of-art industry research and a trusted foundation for global decision makers. When global corporations start looking for a new piece of software, they consult Gartner research: What vendors are listed? What are the pros/cons of each product offering? Etc. A hugely influential yearly research report from Gartner is the Magic Quadrant. A Magic Quadrant lists and ranks the top vendors within a domain according to some criteria and after rigorous analysis and scrutiny of each vendor. Magic Quadrants are released for some areas, for example, Digital Banking Platforms, Enterprise Network Firewalls and SIEM products. 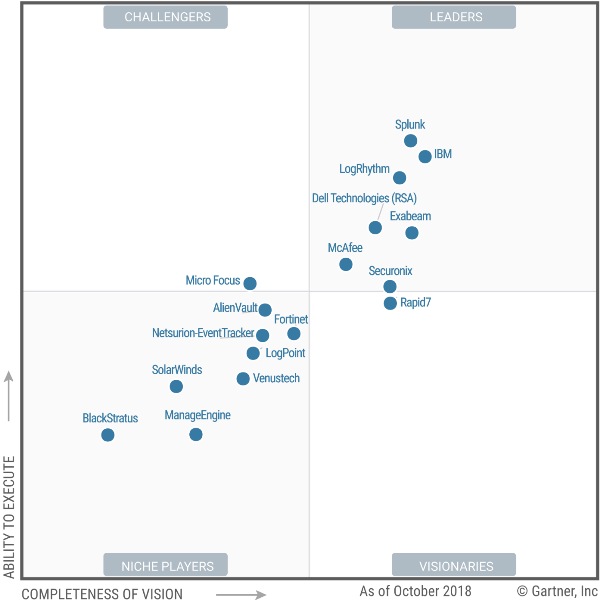 A SIEM vendor, like LogPoint, needs to live up to specific objective criteria, like the size of the business and product features to be included in the Magic Quadrant. Gartner ranks the involved vendors and to be added a considerable accomplishment for any vendor – it places the vendor among the world leading vendors in the domain. LogPoint SIEM was the only new SIEM vendor included in the 2018 Magic Quadrant for SIEM as part of its journey on redefining the SIEM space and competing with IBM QRadar, Splunk and other global vendors. A SIEM solution can collect the logs from all these individual systems and add value on top. It can alert if connections are being established to public hacker-sites (some, like LogPoint, can even instruct the Firewall and other systems to ‘fight back’ in such situations by changing configurations if the customer wants). It can detect more sneaky cyber-attacks where users either willingly or unknowingly start acting differently (their accounts may have been compromised and being misused by hackers). Apart from detecting and preventing on-going cyber-attacks a SIEM also keeps a record of what has been happening in the network. Immediate use is to use SIEM for auditing purposes: Are the established business processes in the company being followed, for example, some operations have a 2-step approval process: Person X requests something (say issuing a loan of a certain size), and Person Y needs to approve it. And the business process is that X and Y must be different (actually different, not just person X knowing the password of password Y). Another use-case of SIEM is to help operational efficiency. A great LogPoint use-case was a large Governmental organization made a considerable saving on printouts because a single person was printing excessively. 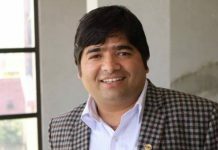 A remarkable aspect of the inclusion of LogPoint into the Magic Quadrant is the contributions and role played by LogPoint Nepal Pvt. Ltd. In concert with LogPoint hubs in the US and Europe, the Nepalese subsidiary of LogPoint contributes to most aspects of the LogPoint solution ranging from development to security analytics, service, and support. Nepalese developers and engineers collaborate with LogPoint US-based product management in online brainstorming sessions in a creative environment, making sure that the best ideas are brought to life. This is a strong example of what can be accomplished from Nepal: The software development can be so much more than merely implementing detailed instructions from engineers from abroad. LogPoint Nepal Pvt. Ltd. is also supporting sales and pre-sales activities in the Asia Pacific Region, in addition to supporting pre-sales activities throughout the globe. 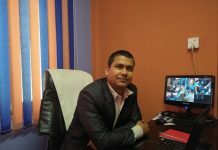 LogPoint Nepal has seen extensive growth in the past years. Currently, at 150 dedicated employees, LogPoint is looking forward to continuing the growth and attract talent from the whole of Nepal. LogPoint is also actively participating in Nepalese technological forums and meetups, focusing on information security and software development.